Sony Ericsson Xperia X10, X10 Mini and X10 Mini Pro owners who have been waiting for Android 2.1 to be rolled out to their handsets will be disappointed to know that the company has delayed the update. 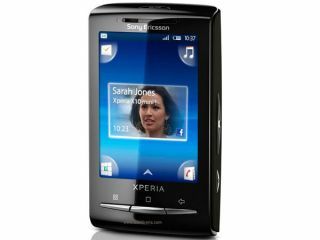 The X10 was slated to get the update in Q3 2010, but Sony Ericsson has now suggested on its forums that it will be the end of October before Éclair arrives on the handset. "The revised plan is to start the roll-out from end of October and onwards," explained Sony Ericsson's Rikard Skogberg. "We are of course not happy about the change of launch timing but we have had to spend some additional time on the software to really make sure we roll-out with the right quality and user experience," he continued. "When it comes to what to expect from the updated software all three X10 models will be updated to Android 2.1 and the Xperia X10 will also get HD video recording with continuous autofocus among many other things." This is certainly far from ideal for X10 owners, who will no doubt be looking at the handsets that are already getting 2.2 updates and questioning why they are so far behind.